A Run-In With A Rodent Turned This Mother Of Two Into A Millionaire! Kari Warberg Block is living proof that you can take the girl out the city, but you can’t take the city out of the girl. It was the early 90’s, and Kari was working behind the cosmetics counter at a high end department store. She was so successful, that her employer would reward her with bottles of expensive perfume. And while she wasn’t one to wear it very often, she’d slip it into her purse before visiting the man she was dating, a farmer in a remote corner of Western North Dakota. But the perfume that was meant to bring her new beau a little closer, would ultimately end up serving an entirely different purpose -- one that would get this city girl through a day on the farm and years later, make her a millionaire. Kari thought that if the perfume gave her a headache, it would give the mice one too. So she left her perfume out on the farm that day -- and each time she returned, she brought out more. Soon the mice were gone and she was there to stay. Kari married the farmer, and she and her two children, moved from the big city to an area, where the nearest neighbor was two miles away. But as Kari settled into her new home, she soon discovered that her unwelcome guests had found their way back to theirs as well. By that point, she was out of perfume and while they had cats to keep the mice out of the house, the rodents were finding their way into the expensive harvesting equipment. Once again, the mice scurried away. And that’s when Kari began wondering, if it could work for her, why wouldn’t it work for farmers everywhere? So she decided to test her theory by packaging the pine cones in cloth string bags and giving them away. There was also another motivating factor. The year before, Kari had been in a life-threatening accident. And the farm had been devastated by a hail storm. She and the farmer needed a way to feed their family. As it turned out, that neighbor was wrong. The free samples Kari had distributed were working. And farmers wanted more. So the budding entrepreneur set up shop right there in her home. She switched to corn cobs, which were more plentiful than pine cones on the farm, and she and her two children along with two employees would blend them with the fragrant oils. It wasn’t long before she was recruiting 20 neighboring families who would help fill thousands of cloth string bags. And then Kari brought them into town -- offering the perfumed pouches to equipment dealers for free, with the agreement that if the product she called Fresh Cab worked in the fall, they’d stock them the following spring. So Kari paid the department a visit, to find out exactly what she needed to do. That’s when they told her that she probably didn’t want to pursue it, because the kinds of studies it required could cost up to two million dollars. 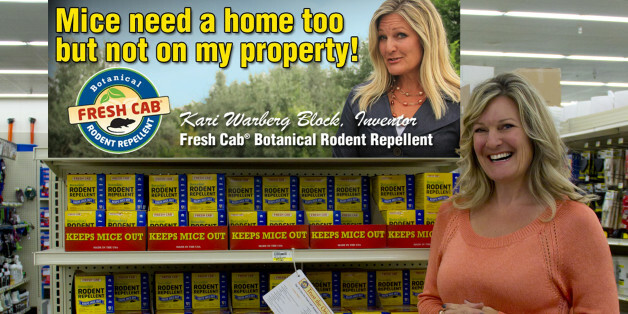 So Kari did -- she actually did it two more times, so she could prove that her product would repel active infestations for 30 days, not only outside the home, but inside, and that it would work as a preventative measure for up to 90. 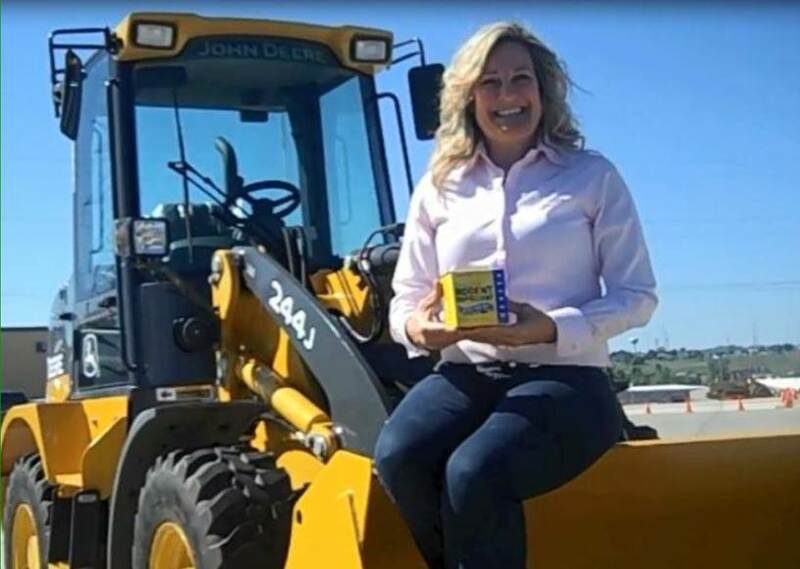 In 2007, Fresh Cab received its Federal EPA registration as the first and only botanical rodent repellent regulated for indoor use and Kari landed a place for her product on the shelves of John Deere stores around the nation. It wasn’t long before retailers like Ace Hardware and Tru Value got onboard, home improvement stores began calling and Kari’s home based business moved into a 20,000 square foot automated production facility. Today the rodent repellent is available in 15,000 retail stores throughout the US and Canada and has brought in 40 million dollars in revenue. Last year Kari was named one of Ernst and Young’s Entrepreneurial Winning Women and this year, the Small Business Administration recognized her as one of the top three business people of the year. And now Kari is giving back. She’s brought a worldwide entrepreneurial program called Start Up to North Dakota and already seven new businesses have been launched. “I was a woman who worked at a cosmetics counter trying to get a product in the pesticide aisle. It took a long time for people to take me seriously. But I believed in my product and I surrounded myself with people who believed in me. Kari seated on a John Deere Tractor, supporting Fresh Cab's first big account, and the fact that everything in Fresh Cab is made with ingredients grown on family farms in the USA!